Following the successful start in Tuscany, the 24H SERIES European Championship season continues in the Belgian Ardennes. The world-famous Circuit de Spa-Francorchamps will be hosting the second round, the Hankook 12H SPA (19-20 April). The 24H TCE SERIES and the 24H GT SERIES, both powered by Hankook, will be in action. Separate starting groups for the GTs and touring cars will be in place, adding up to a total of almost 50 cars in the field. In recent years, Spa-Francorchamps was the venue where the European Championship was concluded and an awards ceremony could be celebrated. For this year, the 24H SERIES round at Spa-Francorchamps has moved from its traditional October date to April, to accommodate a new event organised by CREVENTIC, the TCR SPA 500, scheduled from 4-6 October as a flagship stand-alone endurance race event to showcase the TCR touring car category. 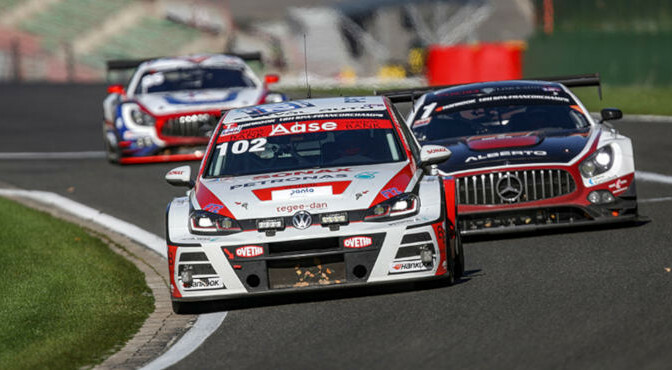 While the new event at Spa-Francorchamps in October is for TCR cars only, the April round of the 24H SERIES European Championship accommodates GTs and touring cars for what promises to be another thrilling event. Last year’s Hankook 12H SPA saw Bohemia Energy racing with Scuderia Praha claim victory in the 24H GT SERIES. 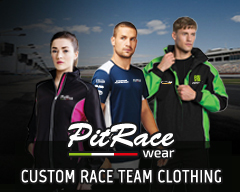 The Czech outfit is now coming to the Ardennes boosted by its most recent win in the season opener at Mugello. Trailing European Championship GT leaders Hofor Racing by only one point, Bohemia Energy racing with Scuderia Praha is jointly second in the standings, together with Hankook 24H DUBAI race winners, Car Collection Motorsport and Porsche Lorient Racing. In third place, Hofor Racing by Bonk Motorsport and RTR Projects are only two points further down. With Audi, Ferrari, Lamborghini, Mercedes-AMG and Porsche all represented by customer teams, the A6 class again tops the GT segment of the field with 17 entries. Two MARC silhouette cars and a BMW are competing in the SPX class. The 991 class again has a strong entry with nine Porsche Cup cars while the GT4 class rounds out the GT field with two entries. Swiss team Autorama Motorsport by Wolf-Power racing scored back-to-back TCE SERIES victories at Dubai and Mugello and is leading the 24H TCE SERIES European Championship standings prior to the Spa-Francorchamps round. Of course, the Volkswagen team is aiming at a hattrick in the Belgian Ardennes, but it will be facing strong competition in the TCR class from eight further teams with Audi, Cupra, Honda and Volkswagen. A BMW and a Ginetta have been entered in the SP3 class. The A3 category includes a pair of Peugeots, three BMWs, and a Honda. The 7 Race Series and the Clio Cup Central Europe are the official support race categories for the Hankook 12H SPA. Both series will have two races at the legendary Grand Prix circuit in the Belgian Ardennes. Action for the 24H SERIES powered by Hankook starts with free practice on Friday 19 April from 9.00-10.00 hrs. Qualifying for the 24H TCE SERIES follows from 10.55-11.25 hrs, qualifying for the 24H GT SERIES takes place from 11.30-12.00 hrs. The first part of the race will be held on Friday from 14.05-17.55 hrs. After this, an intervention with parc fermé rules is in place. The second part of the race runs on Saturday from 10.05-17.55 hrs. Live streaming in HD quality with commentary from the Radio Show Limited team, well-known from IMSA Radio and Radio Le Mans, is available on the series’ website and Youtube channel as well as Motortrend on Demand. There will also be regular updates on Twitter, Facebook and Instagram (24H Series). Hankook is the official title sponsor and exclusive tyre supplier for the event. The following companies will be present with sales and service booths in the paddock at Spa-Francorchamps: DRD international for pit equipment, screen protection etc., Stand21 Racewear, Speedcom for radio communication equipment and support and Shiny Wheels, where wheels can be cleaned in just a few minutes. Further information can be found at www.24hseries.com.